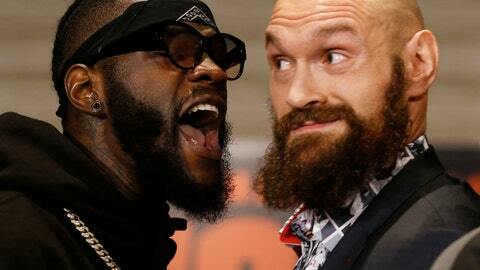 When Wilder steps into the Staples Center ring to defend his WBC title against Britain’s Tyson Fury (27-0, 19 KOs) on Saturday night, he finally has the right opponent on the right stage at the right moment. Fury is the lineal champion of the heavyweight division, thanks to his shocking victory over Wladimir Klitschko in 2015, and his showdown with Wilder is probably the most important heavyweight bout since . The pay-per-view Hollywood spotlight encapsulates everything Wilder has craved for years, even when he knew he wasn’t ready. Punching up is a new feeling for Wilder, both inside and outside the ring, but he can’t wait to try it. “You only have confidence because Klitschko didn’t throw punches,” Wilder said to Fury during their final news conference. Wilder’s style is occasionally awkward, but he loves action and realizes his best chance to win every fight is with the knockout power in his heavy hands.